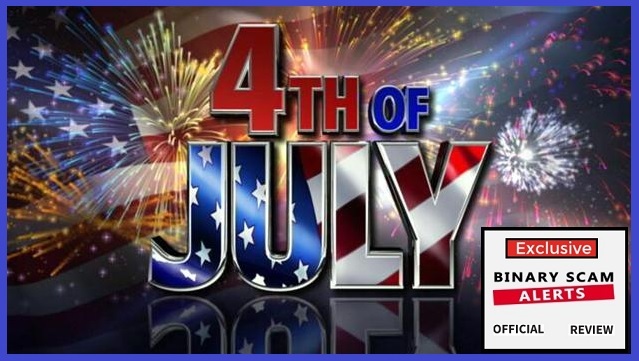 Binary Scam Alerts » Binary Options Education » Happy 4th of July and a Personal Message from Patrick! 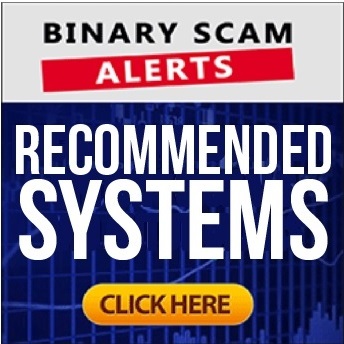 Despite the many requests I have to review various SCAMS occurring in the binary options niche, I decided to take some time and try to look at things from a different perspective. There are two recurring questions I always get from members. The first one is “if there is a trustworthy automated trading app which actually does what it promises to do”. The second one is “why is this happening to me?” and in many cases it is accompanied by “how can I get my money back?”. Firstly, I totally understand and sympathize with both questions. I have often found myself in a position where regardless of what I do or how hard I worked the harsh reality of life is simply too much to bare as the basic expenses such as rent, food, and transportation costs are constantly on the rise. So, on one hand you are working harder and maybe even making more money, but at the end of the day nothing changes and you just can’t get out of the time bind and circle of constant financial stress. So, you figure why not take a chance and see if there’s anything out there that can help you out in order to actually pay the bills, live a little, and also save for the future, because eventually everyone gets older and when that day comes social security or pension plans are not enough to cover the daily cost of living. So, you risk it! What the hell right? You’ll try anything once and despite your fears and lack of understanding you decide to take a leap of faith and try out a new system. Problem is, the auto-trader is a complete FLOP and does not achieve the results its supposed to. So you tell yourself it’s OK, you took a risk and lost your initial investment, but now what? What to do? Your situation has stayed the same and even worsened because you just lost some money. Now, normative people will try anything once and if it doesn’t work they move on. The real problems start when instead of taking a step back and moving forward with your life you constantly try using new systems and end up with a hole in your pocket instead of “fast cash and auto-pilot earnings that let you live your life while making passive income completely hands-free”. A colleague of mine told me he lost faith in humanity since he sees how people will jump at anything if they believe there is a tiny speck of hope that system will be the solution to their financial stress. In reality, it’s not humanity he has lost faith in, it’s human nature. People are lazy by nature, and that is the single most contributing factor to innovation and productivity. Consider the remote control for example, why get up from the couch to switch channels when you can zap it from the comfort of your comfy arm-chair? Plastic cups and dishes are another example, why wash it just toss it in the trash! So, taking everything into account the various make money schemes available online today address the most basic and ingrained elements of human nature which is greed coupled with laziness. The truth is kind of tricky, because hard work does not guarantee you wealth, but I can definitely promise you a push-button software that promises to make you a millionaire overnight will DEFINITELY make someone rich, but it won’t be you and that is guaranteed! This is my main problem with systems like the Quantum Code, Millionaire Blue Print, and 7 Figures Months the people behind it are very perceptive and understand how to harp on these emotions. Additionally they are loaded with money, so chartering a plane and renting a mansion for a day is very much an option for them since they know the return on their investment will be exponential. It’s a Sunday and tomorrow is the 4th of July, one of my favorite holidays. For our American members and subscribers, I urge you to spend time with your family and loved ones and clean your mind from the cumbersome daily grind. Enjoy the important things today, and forget about your problems and pressure at work or at home. As for the rest of you, take this Sunday to do something special like go to the beach or take a walk in the park with your dog. Tomorrow will still be there waiting for you, and as sure as the sun will rise we will have more SCAMs to review and different con-artists and cheaters to expose. On a personal note, there are a lot of FAKE Review sites out there which are gaining momentum. They are plush with cash and have marketing budgets so it’s getting increasingly difficult for us to compete with them. The only way for you to help is to get involved in our Facebook Page and YouTube channel and make plenty of comments in the posts on our website. This will help keep our community active and signal to all the fat cats that we can still beat them at their own game despite our minimal budgets.